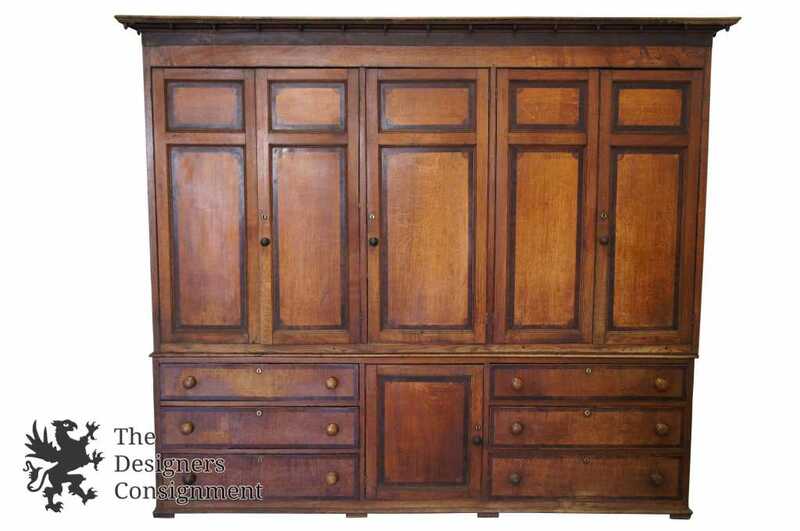 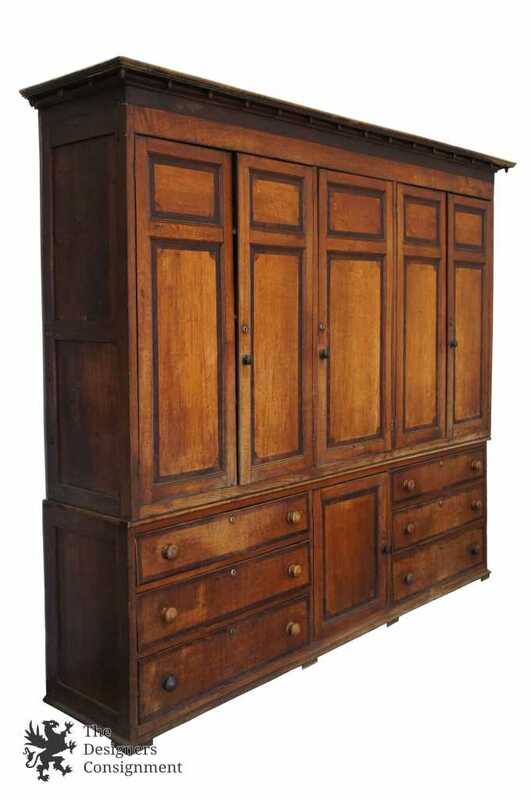 An exquisite late 18th century English housekeepers cupboard. 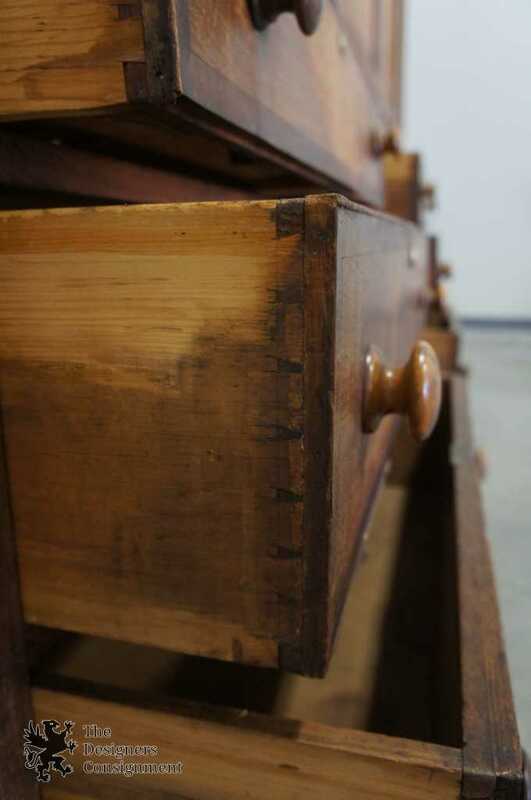 Made from quarter-cut oak with banded walnut. 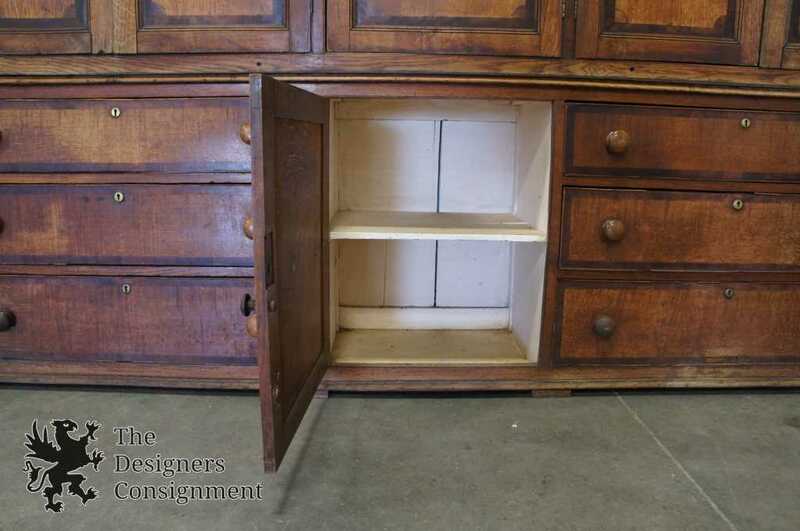 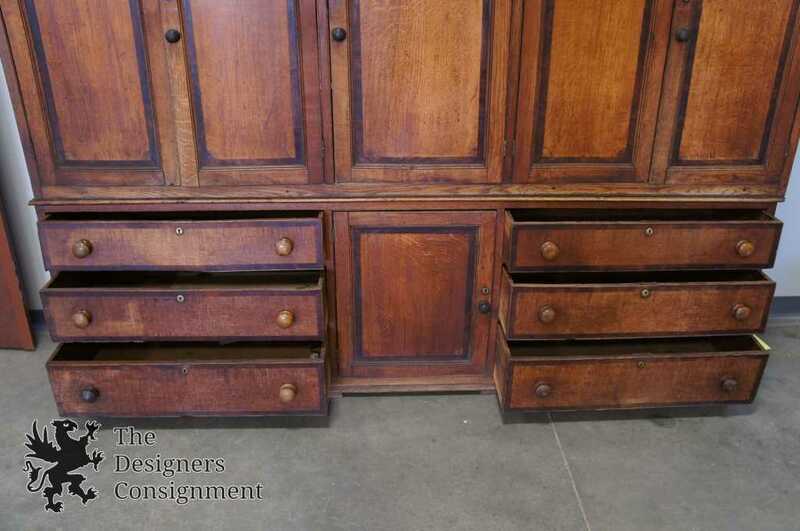 Includes 6 hand dove-tailed drawers and 4 cabinets for storage. 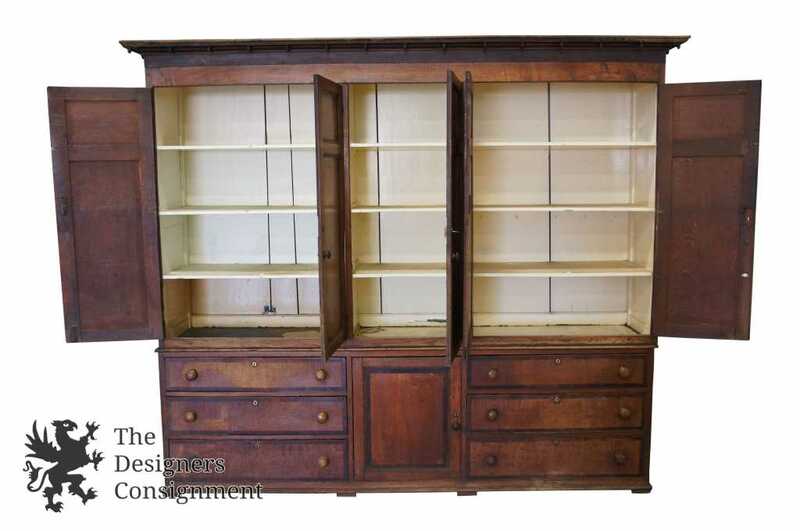 Interior opens to an antique white finish with 3 fixed shelves. 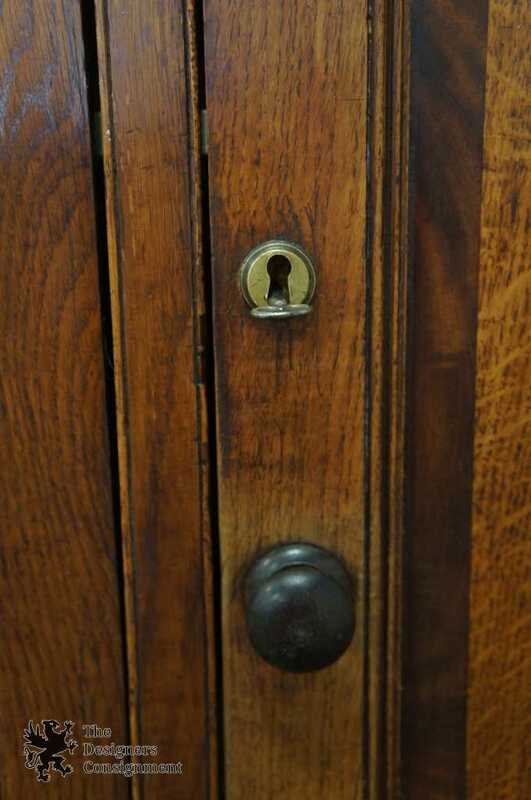 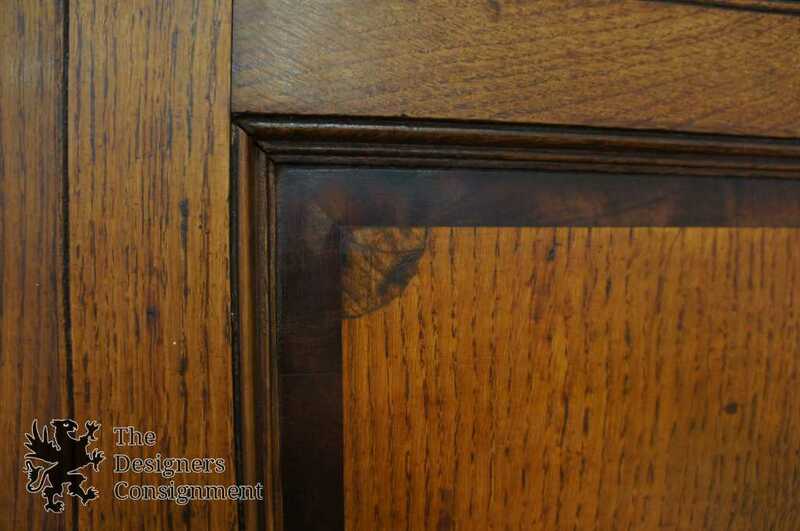 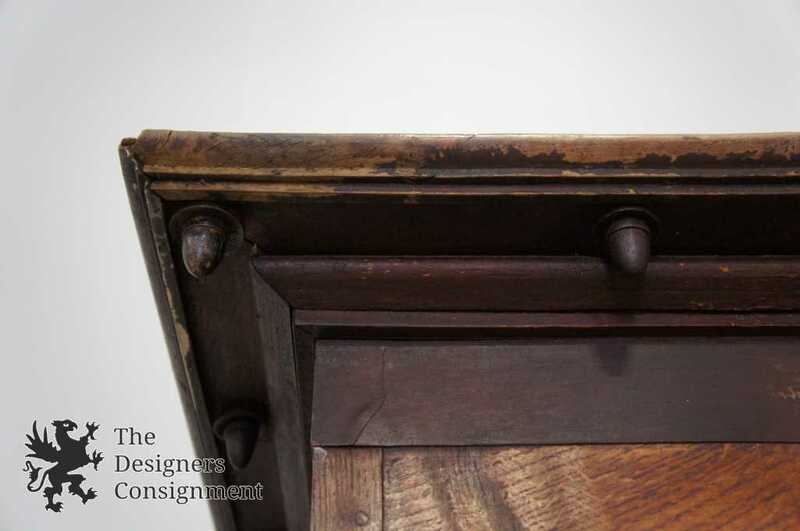 Includes brass keyholes and drop finials along upper cabinet apron. 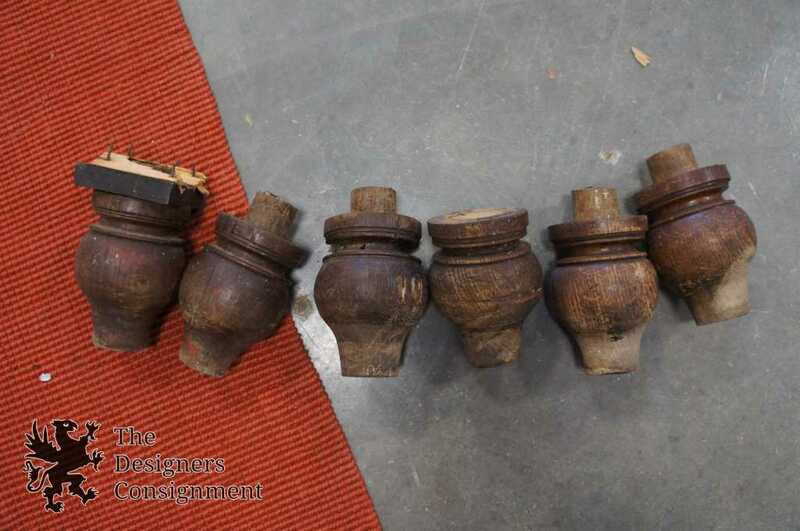 Originally had 6 turnip turned feet that vaulted it off the ground. 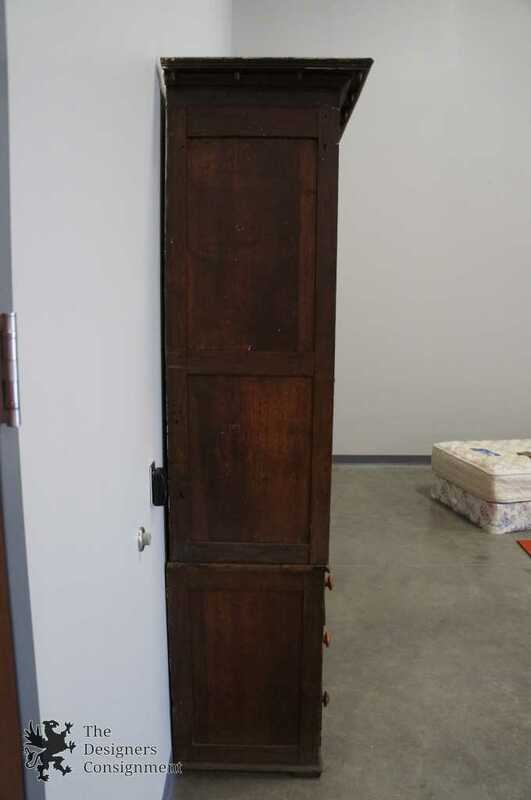 These were removed in the past to allow it to fit into a space. 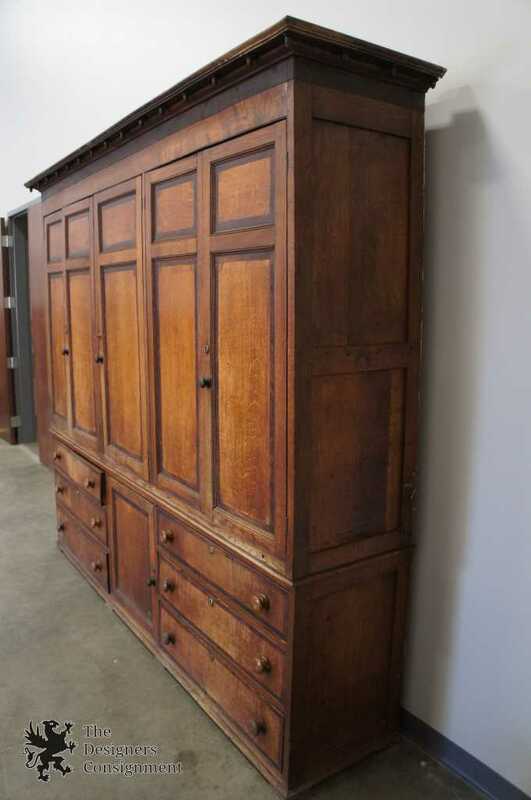 The perfect statement for any space.